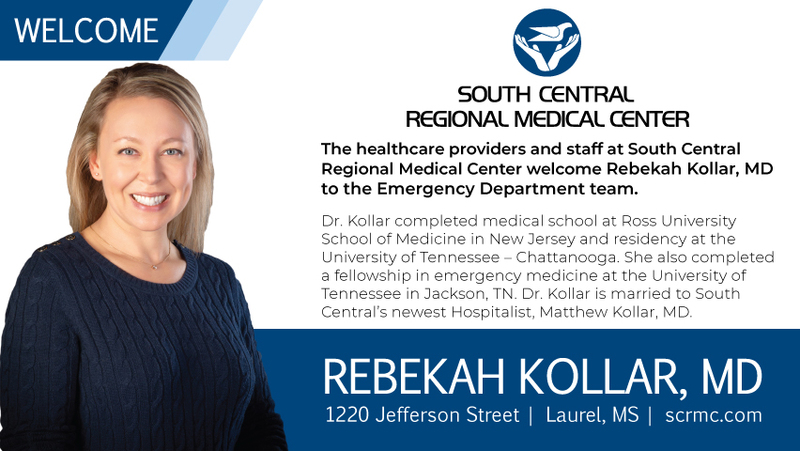 South Central Regional Medical Center welcomes Rebekah Kollar, MD, to the South Central Emergency Department team. Dr. Kollar completed medical school at Ross University School of Medicine in New Jersey and residency at the University of Tennessee – Chattanooga. She also completed a fellowship in emergency medicine at the University of Tennessee in Jackson, TN. Dr. Kollar is married to South Central’s newest Hospitalist, Matthew Kollar, MD.